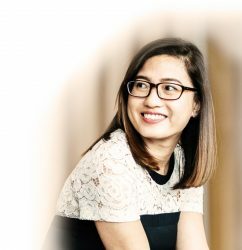 It’s her passion for people and genuine care for their future welfare that sees Playna Ho form strong connections with Redchip’s Private clients. Through her work in estate planning, asset protection and tax law, Playna gains a deep understanding of her clients’ personal and business circumstances. She then collaborates with them and their advisers to implement commercially focussed strategies. Playna’s pragmatic side revels in managing her clients’ business structures and proactively protecting their assets and investments. Whereas her inner thrill-seeker gets a kick out of battling the ATO on her clients’ behalf – a true highlight for Playna, especially when an objection is successful. It’s not just clients that Playna forms strong relationships with. She also regularly engages with other professional advisers such as accountants and financial advisers. She enjoys fostering camaraderie and knowledge sharing across professional industries, as it results in more well-rounded advice and inevitably greater benefits to clients. It’s no surprise that Playna has a flair for connecting with the people around her – she comes from a large family, with eight siblings and twelve nieces and nephews! Playna offers reassuring and resolute support to her clients and business associates.